Since 2005, Zach has been a contributor to top fitness magazines such as "Men's Health." An American College of Sports Medicine Certified Personal Trainer, and a Precision Nutrition Certified Nutritionist, Zach has gone on to cultivate his love for fitness by helping others lose fat, build muscle, and improve their overall health. Zach received his Bachelor of Science degree from the University of Minnesota. As more and more people continue to seek out alternative types of diets in the hope of losing fat, many have turned to what is known as the “egg diet”. While the concept of consuming nothing but eggs may sound appealing to some, few understand the actual physiological effects that this type of diet can invoke on the body. Before beginning such a drastic diet, it is important to understand the mechanisms behind which this type of diet functions. The first result that the egg diet will have on your body is a rapid decrease in water weight. Many people often become very excited as the initial weight loss is very rapid, and often mistake this loss in weight for fat. Unfortunately, fat takes quite a long time to be burned, and it accounts for virtually none of the initial loss. This is because the egg diet is very low in carbohydrates, which bind to water and store it in your body. As you consume fewer carbs and your glycogen stores begin to deplete, you lose much of the water. Once you begin returning to normal eating habits, this water weight will be regained. Another symptom many people often undergo when first beginning the egg diet is lethargy. This happens because the decrease in carbohydrates means that less glucose will be available for your brain, and your body will be forced to turn to ketones to fuel the brain. At first, most people often feel lightheaded and much more tired, often lacking the energy to exercise. Fortunately, however, the body is very good at adapting, and will up-regulate the enzymes necessary for ketones to be used more efficiently. In general, most people find that after a few days of lethargy, their energy levels return to normal and occasionally may be even higher than when they were eating large amounts of carbohydrates. One inevitable effect that will always occur on a low-carbohydrate diet is a temporary decrease in performance. This is because glucose is the body’s main source of fuel and is very important for maintaining optimal performance in physical activities. As you continue to reduce your carbohydrate intake, your glycogen stores will become depleted, and your body will have to rely on fat and amino acids for fuel, which is a less-efficient process. For those who are competing in athletics, the egg diet would be a very poor choice, as it will significantly decrease your ability to perform at your best. For most people, however, the decrease in performance is not a serious issue, as performance levels will return to normal once a normal diet is resumed. One significant advantage of the egg diet compared to more traditional diets is its ability to help preserve lean body mass. Many diets that follow government guidelines are often very high in carbohydrates and low in protein, while the egg diet is the opposite. This is beneficial, as protein is very important in preserving lean body mass during a caloric deficit (See Reference 2). The protein in eggs is particularly valuable, as egg protein is the only protein that has a perfect score of 100 on the Biological Value score and a perfect score of 1.0 on the Protein Digestibility Corrected Amino Acid Score. Because preserving lean body mass is necessary for numerous health and metabolic reasons, the large protein content of the egg diet can result in positive effects compared to those of more traditional diets. One of the most notable and sought-after effects of the egg diet is fat loss. The egg diet works well to invoke fat loss simply due to the significant decrease in total caloric consumption that it will invoke. For one thing, the high protein content of the eggs will lead to a decrease in the amount of calories needed to feel full, as protein has been shown to be much more satiating than other macronutrients. Eggs will also increase fat loss by increasing metabolism, as protein has been shown to increase postprandial thermogenesis much more than other types of macronutrients. By decreasing the amount of calories you take in, while simultaneously increasing the amount of calories you burn at rest, over time the egg diet will result in significant fat loss. Is it Okay to Eat Poached Eggs When You're Pregnant? 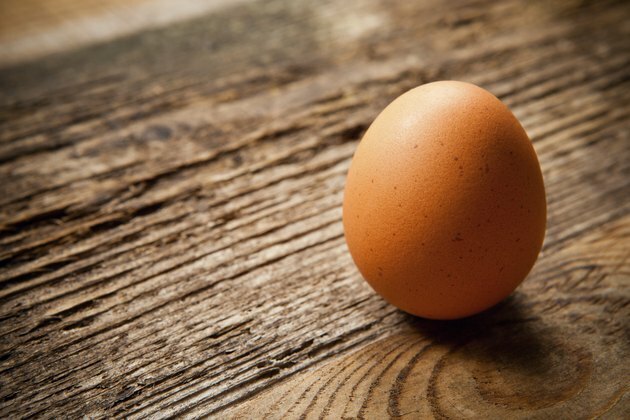 Nutrition Debate: Are Eggs Good For You? What Happens When Your Body Runs Out of Glycogen During a Long Workout?